So, you’re ready to take the next step in automating your production or shipping system…automating your labeling. You want a machine that can print and then apply that label directly to your product or box. Simple, right? You’ll just order the most inexpensive one that you can find on the internet, plug it in, and, like magic, you will be automated! Sounds good , right? That is until you realize that you don’t have a way to mount it, the data doesn’t work, or that it can’t reach the product. 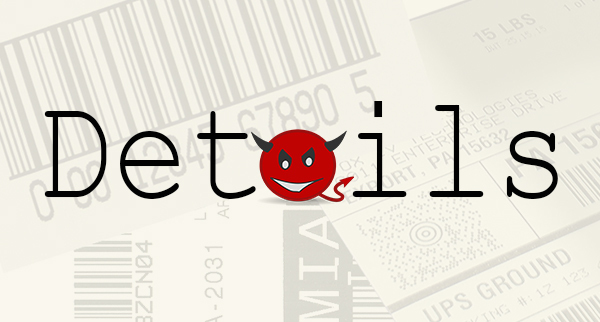 When purchasing an automated labeling system, the devil really is in the details. Reputable manufacturers and resellers will have a lot of questions regarding your application, its environment, and the processes before, during and after the label is applied. The answer is simple…because we want to make sure that the system that you order works for your application! Putting an automated labeling system on to a production or shipping line isn’t the same as having a desktop label printer on the line. Those actions that we take for granted when manually applying a label to a box now have to be taken into consideration. Is the line moving or stopped when the label needs to be applied and if moving, how fast? How many products/cartons/pallets per minute? Where is the label to be located? Where is the labeling system to be located? How close can it be positioned? These are just a few aspects of installing a print and apply system! Many factors have to be considered when thinking about putting an automated labeling system in place. It begins with the production/shipping line itself. We not only need to know about line speeds and products/minute, but also conveyor heights, space limitations, variance in product sizes, and distances to the label application surface. Why? So that the correctly sized system with the correct options (such as applicator type and/or length) can be recommended. Another factor to consider is environment. If the line is in an area that has extreme temperatures, humidity or dust, or any other condition that may fall outside of the normal operating parameters of the equipment, we certainly need to know. In those cases, environmental enclosures could be recommended to ensure that equipment can operate effectively and reliably. The type of information data stream and interfacing is yet another key factor. Because the labeling system needs data to print, it is good to know where it is coming from, what type of data stream is needed and who is responsible for getting the correct data to the unit. Is an integrator handling the software integration, your IT department, or the labeling equipment company? Do you currently use a label printer and need to use the same type of print engine so that data streams do not need to be changed? What type of connectivity do you need? The final factor is the labeling supplies. Automated label equipment sellers need to know ALL of the sizes of labels that you would like to use on the equipment as well as if they are pre-printed, partially printed or blank (for print and apply), the type of labels that are required (direct thermal or thermal transfer), and the roll size. It is also helpful to have labels and/or ribbons to test on the equipment prior to shipping to ensure that they print, peel and apply correctly as well as make sure that there are no unexpected surprises with the label stock (perforations, unusual gap sizes, etc.). All of these factors help the equipment manufacturers and sellers to understand your application and determine the best equipment for it. So, What Do You Need Before Requesting a Quote? You should be prepared with answers pertaining to the above factors. You may or may not be asked for them right away, but they are important for the seller to know. Many system sellers will have an application questionnaire to help you gather this information along with any photos, videos, and product and label samples. Also, know that a budgetary or preliminary quotation is just that, preliminary and for budgetary purposes. They may be based a quick assessment of the application rather than the in-depth study of it. Base purchasing decisions on a full quotation to ensure that you get what you need.